The majority of carbon on earth is in the form of soil organic matter. And its degradation by microorganisms leads to the remineralization of carbon as carbon dioxide. The microbial activity causes a reduction of soil carbon and increases atmospheric carbon. However, most models of organic matter do not explicitly take into account this reality. We try to answer these questions by developing and validating a model describing the action of microorganisms on degradation of organic matter. We use simulation domain as the pores in the soil modeled by a network of balls. The model is solved numerically in the balls by the finite element method with the solver of partial differential equations (PDEs) Freefem3d. We compare the numerical results with experimental data on the mineralization of soil carbon. 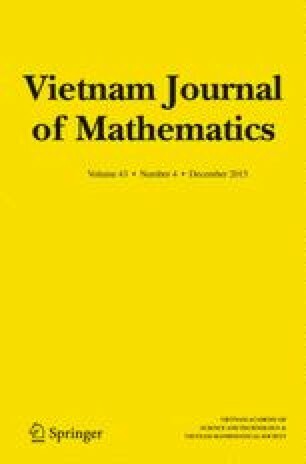 This work was done while the second author was at Vietnam Institute for Advanced Study in Mathematics (VIASM). The work was partially supported by the project VAST.DLT.01/12-13. The authors would like to thank anonymous referees for their valuable comments. Ndof is the number of freedom degrees. The sequence (ϕ i )1 ≤ i ≤ Ndof defines the basis functions of the space V h.
where I is the identity matrix and U n is the solution at time n∗dt. We give in annex B the Freefem3d code we implement for solving the system. <<int[M](u2)<<" " <<int[M](u3)<<" "<<int[M](u4)<<" "
// save the solutions masse <<T<<" "<<int[M](u1)<<" "
We define a function CreateCell to implement octree structure from the set of eight voxels. Its inputs are the lower coordinates of the voxels constituting the collection. The function CreateOctree creates the approximate image.